I just found this great deal. It's reduced from £60.00 to £23.99! You can get it from www.amazon.co.uk. Prime member will get free delivery non prime has to add delivery charge on top of it. Prestige is one of the world's best known and well-loved housewares names thanks to more than 50 years of making good quality products for the home. Prestige commitment to quality and reliability has built an enviable relationship of trust with its loyal customers. 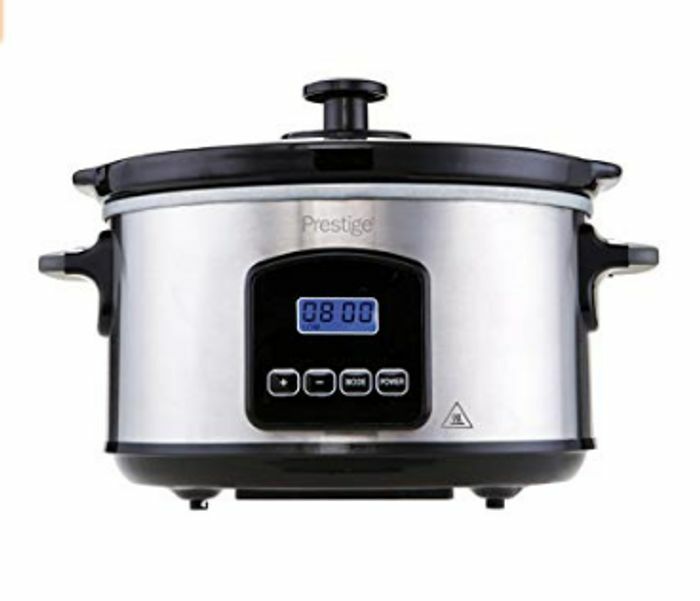 Prestige kitchen appliances are ideal for the efficient, time conscious home cook. The digital 3.5 Litre slow cooker enables the busy cook to take the effort out of conventional cooking, all the while allowing you to walk away from your kitchen and undertake other tasks. You can pre-prepare tasty and nutritious home cooked meals, set the digital programmable Timer and leave it to cook. Amazing deal with great price!